A day to spent between archeology, geology and natural beauty! 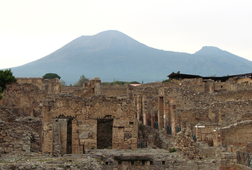 The thriving Roman city met its fate in 79 A. D. , when the Mount Vesuvius erupted. The ash from Mt. 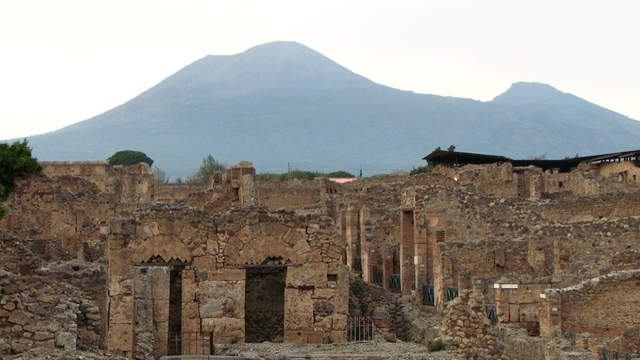 Vesuvius buried the entire town with many of its inhabitants. 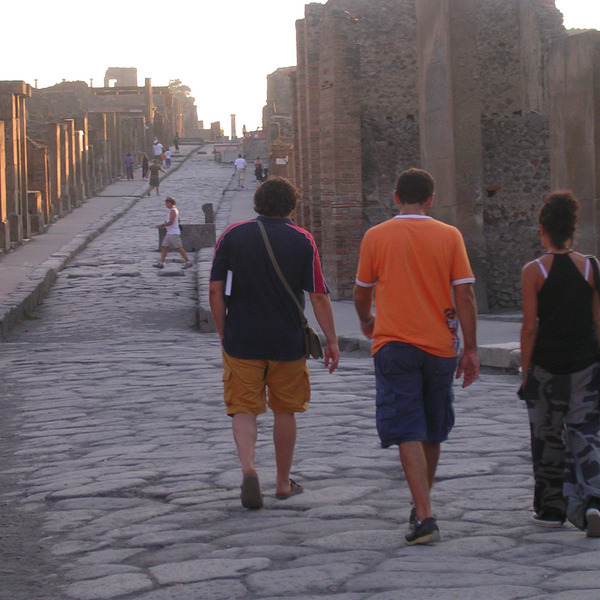 The tour starts with two hours guided tour at Pompeii with me. Lunch break in a typical Italian restaurant tasting some good wine and some traditional dishes. 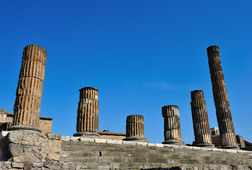 After the lunch break the driver will take you at the Mount Vesuvius where a local guide, included in the cost of the ticket, will accompany you. 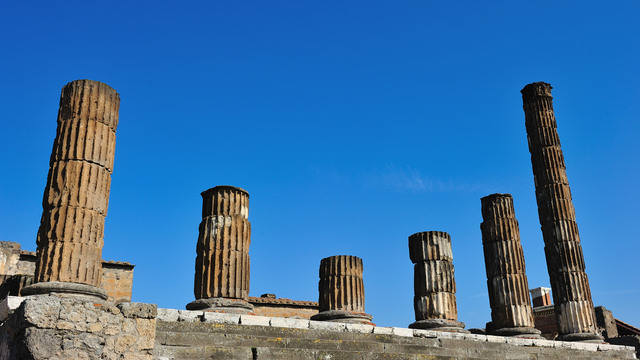 You'll enjoy a stunning view of the Bay of Naples from a vantage point almost nobody else gets to access. Highlights Pompeii: Marina Gate, Basilica (court house), Forum (the main square), Municipal buildings (curia), the meat and fish market (Macellum), Thermal baths, Termopolium Capuano, House of the Tragic Poet, Bakery, plaster casts, Temples of Juppiter, Apollo and Venere, the Lupanar (brothel), Fountains and lead pipes. 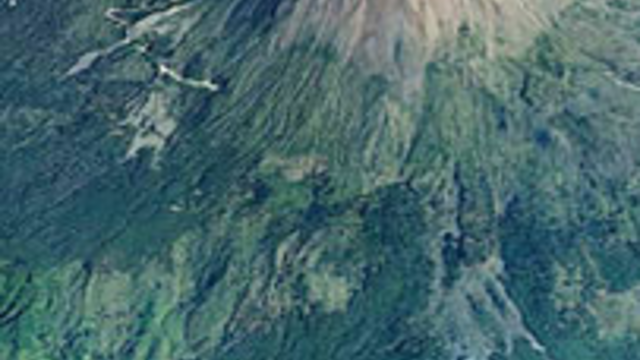 Mount Vesuvius: At the top of the volcano is a crater rim that affords a view into the crater that still fumes slightly. Besides that you will have a stunning panorama overseeing the Bay of Naples, Capri, Ischia, the edge of the Sorrento coast and more. 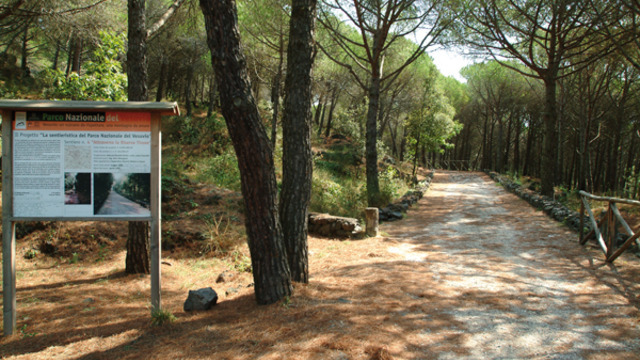 Everyone has to walk up the last 500m steeply uphill. Closed-in shoes are essential.